Want to know the future value of your mutual fund investment? Our mutual fund calculator can help you to calculate the future value of your lumpsum investment. Just by entering a few details such as your lumpsum amount, tenure of investment and the compounded rate of return you expect from the mutual fund investment. The calculator is simple to use, and you can calculate the value of your mutual fund investments in an instant. Enter only Numbers. Please enter Years. Mutual Fund Calculator is a dedicated tool to calculate the return on your lump-sum mutual fund investment. It accessible and convenient platform which empowers investors by calculating complex calculation within no time. It generates accurate and quick result of the future value of current investment. Now returns on mutual funds are calculated in two ways one is in absolute terms and another is compound annual growth rate (CAGR). Mutual Fund Calculator calculates return on your lump sum mutual fund investment in absolute terms when invested for a period of 1 year or less than 1 year. It is expressed in terms of percentage. For instance, Mr Sham invested Rs 10,000 in Fund ABC on January 01, 2016. Let us look at the absolute return gained by December 01, 2016. In the above table Mr Sham has earned an absolute return of 50%. Accordingly, the gains and losses are calculated as difference in current value of fund and initial investment amount divided by initial investment amount. On the other hand, the investment held for more than one year are calculated in terms of compounded growth. As this will give you an idea of year*on-year growth of your money. Like in the above case, if MR Sham invested in the same fund and held it for 2 years then the return on his investments would be calculated in terms of CAGR. How to use Mutual Fund Calculator? Manual computation of return on mutual funds at different rate of interest is a little difficult. Especially you are an alien to the financial world and dread it to the core. PersonalFN Mutual Fund Calculator will perform all the calculations for you in a fraction of second and make things possible for you. This mutual fund calculator will generate returns without any personal or emotional bias. This will empower you to make wise investment decisions. If you have some particular sum which you would not need in immediate future, then you can opt for lump sum mode of investing. Use this simple Mutual fund calculator to future value of mutual fund of any type such as equity, debt, liquid, hybrid, and so on. A mutual fund scheme, as the name suggests, is a shared fund that pools money from multiple investors and invests the collected corpus in stocks, bonds, short-term money-market instruments, other securities or assets, or a combination of these investments. The investments are in accordance with the investment objectives as disclosed in offer document. 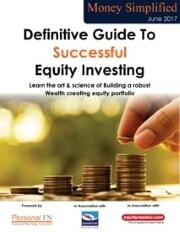 Therefore, an equity-oriented mutual fund scheme will invest predominantly in a set of stocks. A mutual fund is required to be registered with Securities and Exchange Board of India (SEBI) before it can collect funds from the public. These funds are available for subscription throughout the year. These funds do not have a fixed maturity. Investors have the flexibility to buy or sell any part of their investment at any time at a price linked to the fund’s Net Asset Value (NAV). These funds begin with a fixed corpus and operate for a fixed duration. These funds are open for subscription only during a specified period. When the period terminates, investors can redeem their units. These funds invest in shares. These funds may invest money in growth stocks, momentum stocks, value stocks or income stocks depending upon the schemes investment objectives. These funds invest in a mix of both equity and debt. In order to retain its equity status, they generally invest at least 65% of their assets in equities and roughly 35% in debt instruments, failing which they will be classified as debt oriented schemes. Ideally Monthly Income Plans (MIPs) form a part of this category which invests upto 25% into equities and the balance into debt. These funds invest in physical assets such as gold, platinum, silver, oil, commodities and real estate. These funds diversify their equity component of their asset under management in varied sectors. Such funds are not known for taking any sectoral bets and thus, reduce their portfolio risk through its diversification strategy. These funds are expected to investin only a specific sector. For instance, a banking fund will invest only in banking stocks. Generally, such funds invest 65% of its total assets in a respective sector. These funds are open-ended funds which are traded onto the exchange. They are benchmarked against the stock exchange index. Unlike an index fund where the units are traded at the day’s NAV, in ETFs (since they are traded on the exchange) its price keeps on changing during the trading hours of the exchange. The AMC does not offer sale and re-purchase for the units. If an investor wants to invest or sell his ETF units, he can do so by placing orders with his broker, who will in-turn offer a two-way real time quote at all times. ETFs are generally concentrated towards pre-specified index, sectors, themes and gold. These funds invest their money in other funds of the same mutual fund house or other mutual fund houses. 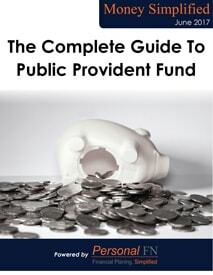 They are not allowed to invest in any other fund of fund scheme and they are not entitled to invest their assets other than in mutual fund schemes/funds, except to such an extent where the fund requires liquidity to meet its redemption requirements, as disclosed in the offer document or the fund of fund scheme. These funds are basically income/debt schemes like Bonds, Debentures and Money market instruments. They give a fixed return over a period of time. FMPs are similar to close ended schemes which are open only for a fixed period of time during the initial offer. However, unlike closed ended schemes where an investor’s money is locked for a particular period, FMPs give the investor an option to exit which is subject to an exit load as per the funds regulations. FMPs if listed on the exchange provide investors with an opportunity to liquidate by selling their units at the prevailing price on the exchange. FMPs are launched in the form of series having different maturity profiles. The maturity period varies from 3 months to one year. These funds mobilise the money from investors for investment outside their home country. Mutual funds issue units to the investors in accordance with quantum of money invested by them. Investors of mutual funds are known as unitholders. The combined securities and assets the mutual fund owns is known as its portfolio, which is managed by a qualified investment professional also known as a fund manager. Each unit an investor holds represents a portion of the portfolio. The value of the units held fluctuates with respect to the underlying value of the portfolio. The value of each unit is represented by the Net Asset Value (NAV) of the fund. The organisation that manages the investments is termed as the Asset Management Company(AMC). The AMC employs various employees in different roles who are responsible for servicing and managing investments. The AMC offers various products (schemes/funds) in mutual funds, which are structured in a manner to benefit and suit the requirement of investors’. Every scheme has a portfolio statement, revenue account and balance sheet. What is a Mutual Fund NAV? In simple words, NAV or net asset value is the market value of the securities held by the scheme. Since market value of securities changes every day, NAV of a scheme also varies on day-to-day basis. The NAV of the fund is used to judge its performance. How to Calculate Mutual Fund NAV? NAV is the current market value of all the fund’s holdings, minus liabilities, divided by the total number of units. For example, if the market value of all securities held by a mutual fund scheme is Rs 150 lakh and the mutual fund has issued 10 lakh units to the investors, then the NAV per unit of the fund is Rs 15 (i.e.100 lakh/10 lakh). NAV is required to be disclosed by the mutual funds on a daily basis. You can check the same on AMC website or at www.amfiindia.com. How to Select Best Mutual Funds? Mutual funds offer the most convenient way of investing in equity, debt and money markets. The increased participation of Indian investors bears testimony to the fact that there is a widespread realisation of the same. Also over the years, the Indian mutual fund industry has grown manifolds, not only in terms of size but also in terms of offerings. While on one hand that is good; the increased number of offerings has also given rise to a state of dilemma in the mind of investors. 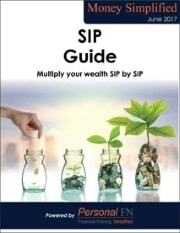 They often get confused when it comes to selecting the right Mutual fund from the plethora of funds available. And even worse, many investors think that 'any' mutual fund can help them achieve their desired goals. 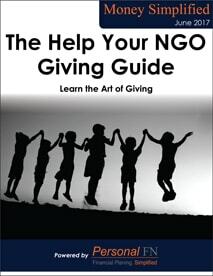 The fact is, not all funds are the same. There are various aspects within a fund that an investor must carefully consider before short-listing it for making investments. The past performance of a fund is important in analysing a mutual fund. However, one must remember that simply because a fund has performed well in the past does not mean that it will perform well in the future as well. It simply indicates the fund's ability to clock returns across market conditions. And if the fund has a well-established track record, the likelihood of it performing well in the future is higher than a fund which has not performed well. A fund's performance in isolation does not indicate anything. Hence, it becomes crucial to compare the fund with its benchmark index and its peers, so as to deduce a meaningful inference. Again, one must be careful while selecting the peers for comparison. For instance, it doesn't make sense comparing the performance of a midcap fund to that of a largecap. It's pertinent for investors to have a long term (at least 3-5 years) horizon if they wish to invest in equity oriented funds. Hence, it becomes important for them to evaluate the long term performance of the funds. This does not imply that the short term performance be ignored. Performance over the short term should also be evaluated; however, the focus should be more on the long term performance. Besides, it is equally important to evaluate how a fund has performed over different market cycles (especially during the downturn). During a rally it is easy for a fund to deliver above-average returns; but the true measure of its performance is when it posts superior returns than its benchmark and peers during the downturn. Returns are obviously one of the important parameters that one must look at while evaluating a fund. But remember, although it is one of the most important, it is not the only parameter. Many investors simply invest in a fund because it has given higher returns. In our opinion, such an approach for making investments is flawed. In addition to the returns, investors must also look at the risk parameters, which in-turn explain how much risk the fund has taken to clock higher returns. Risk is normally measured by Standard Deviation. It signifies the degree of risk the fund has exposed its investors to. Higher the Standard Deviation, higher the risk taken by the fund to clock returns. From an investor’s perspective, evaluating a fund on risk parameters is important because it will help them to check whether the fund’s risk profile is in line with their risk profile or not. For example, if two funds have delivered similar returns, then a prudent investor will invest in the fund which has taken less risk. This is normally measured by Sharpe Ratio. It signifies how much return a fund has delivered vis-à-vis the risk taken. Higher the Sharpe Ratio, better is the fund’s performance. From an investor’s perspective it is important because they should choose a fund which has delivered higher risk-adjusted returns. In fact, this ratio tells us whether the high returns of a fund are attributed to good investment decisions, or to higher risk. Funds that have a high concentration in particular stocks or sectors tend to be very risky and volatile. Hence, investors should invest in these funds only if they have a high-risk appetite. Ideally, a well-diversified fund should hold no more than 40% of its assets in its top 10 stock holdings. The performance of a mutual fund scheme is largely linked to the Fund Manager and his team. Hence, it’s important that the team managing the fund should have considerable experience in dealing with market ups and downs. Also, investors should avoid fund’s that owe their performance to a ‘star’ fund manager. Even if the fund manager is present today, he might quit tomorrow, and then the fund will be unable to deliver its ‘star’ performance without its ‘star’ fund manager. Therefore, the focus should be on the fund houses which are strong in their systems and processes. Fund house should be process-driven and not 'star' fund-manager driven. If two funds are similar in most contexts, it might not be worth buying the high cost fund if it is only marginally better than the other. Simply put, there is no reason for an AMC to incur higher costs, other than its desire to have higher margins. Annual expenses involved in running the mutual fund include administrative costs, management salary, overheads etc. Expense Ratio is the percentage of assets that go towards these expenses. Every time the fund manager churns his portfolio, he pays a brokerage fee, which is ultimately borne by investors in the form of an Expense Ratio. Therefore, higher churning not only leads to higher risk but also higher cost for the investor. Due to SEBI’s recent ban on entry loads, investors now have only exit loads to worry about. An exit load is charged to investors when they sell units of a mutual fund within a particular tenure; most funds charge if the units are sold before a year. As exit load is a fraction of the NAV, it eats into your investment. Try investing in a fund with a low expense ratio and stay invested in them for longer duration. Among the factors listed above, while few can be easily gauged by investors, there are others on which information is not widely available in public domain. This makes analysis of a fund difficult for investors and this is where the importance of taking the help of a mutual fund advisor comes into force. At PersonalFN, we spend a lot of time and effort in short-listing funds which are best for investors, by using various qualitative and quantitative techniques. You can also benefit from the well-researched advice of PersonalFN on Mutual funds. As a newbie, you may be wondering about how and which mutual fund schemes to invest in. The plans differ from each other only in terms of cost. The regular plan charges a higher expense ratio, as compensation to the distributor. 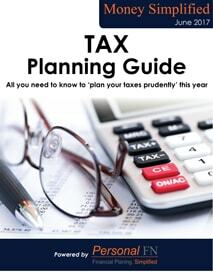 The direct plan, is devoid of this additional cost, hence, investors benefit with higher returns. If you prefer simplicity and the process of investing sounds incomprehensible, opt for a mutual fund distributor. They will take care all administration, paperwork activity such as form filing, etc. All you need to do is submit relevant documentation and sign on the dotted line to begin your investment journey in mutual funds. Just remember, “caveat emptor”... Buyer Beware. Yes, there are several cases where distributors have mis-sold mutual fund investments. So, you need to read the fine print carefully before you sign anything. When it comes to a direct plan, if you are tech-savvy and have basic financial knowledge, investing in mutual funds though this route will be a much better option. You can seek guidance from a fee-based mutual fund investment adviser about the right mutual fund schemes for your financial goals. Investing through the direct route is a much better option as you can save a significant amount of money over the long term. But before you embark on the journey of investing in mutual funds, you need to complete your KYC (Know Your Customer) formalities. KYC is a prerequisite for investing in mutual funds (and almost all financial instruments). It is vital compliance on the part of financial product manufacturers, to know their investor better. The Government has appointed the Central Registry of Securitisation Asset Reconstruction and Security Interest of India (CERSAI) to establish a central KYC registry, which simplifies the process of complying to KYC procedures — and you need to do it just once; either with a bank, mutual fund, or an insurance company that you’ve invested in. This means you don't have to fill-up the KYC form another time with other financial product providers. If you’ve opted for a regular plan, i.e. investing in mutual funds through a distributor, they will assist you with KYC compliances. However, if you plan to invest in mutual funds through the direct route, you can complete your C-KYC through five simple steps. The list of acceptable documents for Proof of Identity and Proof of Address is published at the bottom of the KYC form. Fill up the form and attach attested copies of your documents. You will then need to visit the office of the AMC or that of the registrar with the originals. Once verified, your KYC will be registered. How to Invest In Mutual Funds Through a Distributor? If you are investing in mutual funds through a distributor such as a bank or investment broker, they will assist you with the transaction forms and other required documentation. Some big distributors may offer online investment facilities to add to the convenience, while local distributors may offer purely offline services. The advice and service might be more personalised in the latter. Some may charge an additional fee for services offered, in addition to the commissions earned from your mutual fund investments. If you would like to save on costs, you may opt for the direct route. If you prefer the online route, you may invest in mutual fund schemes directly through the online portal of the fund house. However, if you have multiple funds, you will need to register and invest in each fund house individually. This can be inconvenient if you have a number of schemes from different fund houses. The registrars also facilitate online investing in mutual funds, however, the investment will be limited to the mutual funds enrolled with them. Mutual Fund Utilities is a shared platform of different fund houses. You need to create an account first, before transacting. We explain how you can create a Common Account Number (CAN) later in the article. You can transact in mutual funds of almost all the AMCs. Through a single transaction form, you can invest in multiple funds of different fund houses. You can even invest in mutual funds though the online route. 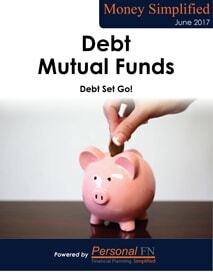 Once your CAN is created, you can invest in mutual fund schemes through the portal of mfuonline.com. If you hire the services of a fee-based investment adviser, you may send over your transaction documents to them to begin investing in mutual funds. Your investment adviser will also receive newsfeed from the fund house and they can keep track of your mutual fund investments. There are several online automated investment portals, also known as robo-advisers. 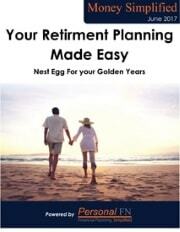 These are investment advisers who enable investment in direct plans at a nominal fee. The fee structure varies from one portal to another. Some offer their services free, up to a certain monetary limit. Do check the services offered before you invest in mutual funds through them. 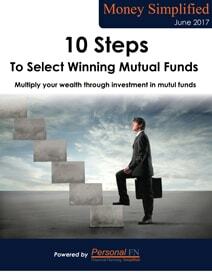 Choose one that has an established track record of picking the best mutual funds. Investing through Mutual Fund Utilities gives you access to all the major mutual funds. To know more click here. If you have sizeable amount of investible surplus that isn’t needed in the short-term, consider investing the lump sum. Only ensure that when you invest, the market is 10-15% down from its last impulse; or that you’re in a bear market so as to draw a sufficient safety margin while you invest your hard-earned money with an investment objective in mind. Use our Mutual Fund Calculator to check the mutual fund returns now. To learn about Mutual funds vs. Fixed Deposits, watch this video.